Bella Chinonis was born with a very rare medical condition know as “1p36 Depletion Syndrome“. This condition is a result of a small amount of genetic material missing from chromosome 1. It’s a genetic disorder that can lead to moderate to severe intellectual disability, delayed growth, hypotonia, seizures, limited speech ability, malformations, hearing and vision impairment, and distinct facial features. Bella also had several holes in her heart, kidney failure, and was unable to walk. Then came Bella’s miracle: cannabis oil. After hearing about the benefits that other children had seen with cannabis oil, Bella’s parents tried to get her a prescription. 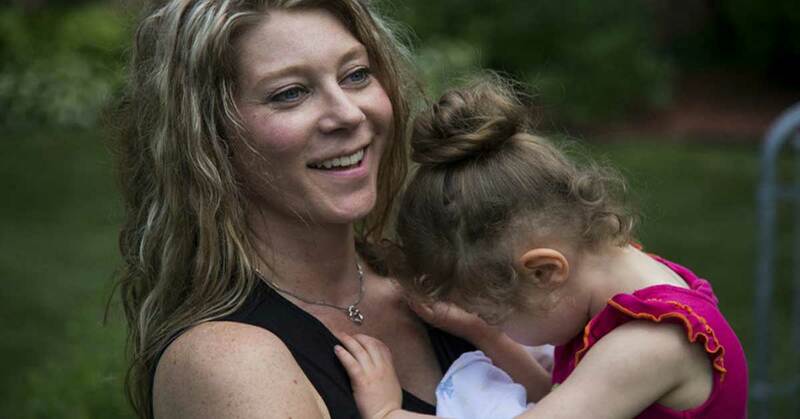 Her original neurologist refused to prescribe medical marijuana to a minor. To meet the minimum requirements in Michigan, where she lives, her parents had to get two recommendations from doctors to get the prescription. After a doctor in Michigan and a doctor in Texas both agreed that CBD oil could be beneficial for Bella, she began treatments. Bella will always require constant care for her unique condition, but the important thing here is that her quality of life is dramatically improved. The number of seizures she was having has been reduced, and she is beginning to develop more rapidly than expected. According to New Research: Octopuses are "Basically Aliens"